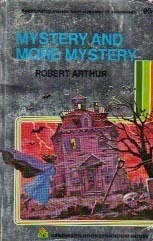 Originally published in 1966, Mystery and More Mystery is a collection of Robert Arthur's most loved short stories. Featuring 10 tales of varying length the book merges locked room mysteries, impossible crimes, and classic detective stories. I have reviewed each of the impossible crime stories below, though the more traditional mysteries should also appeal to fans of the genre. An old lady sleeps alone beside a ceremonial knife. With no-one else in the room, the knife plunges into her chest and kills her. A simple but neat impossible crime, The Blow from Heaven introduces us to a world of magic, conjuring and possession. While the solution may be easy to spot, the eerie set-up leads to a perfectly readable short story. 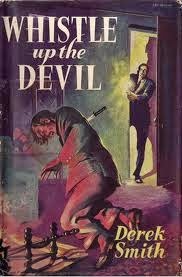 First published in 1953, Derek Smith's novel Whistle up the Devil contains two interlinked impossible crimes that pay homage to the likes of John Dickson Carr and Clayton Rawson. The story follows amateur detective Algy Lawrence as he investigates the mysterious death of Roger Querrin. With both the detective and the police standing guard outside Querrin's room at the time of his death, the disappearance of the killer raises suspicions of a supernatural murderer. Like many of the classic impossible crime tales, Lawrence is determined to prove there is nothing at all supernatural about Querrin's death.